Welcome to another end of year retrospective on a great season of Premier League football. Here at The Ephemeric I'd like to use this moment to take stock of the season gone by and bestow a few carefully considered accolades. This season has been the story of an indomitable Manchester City team, proving once and for all that there is nothing Pep Guardiola can't accomplish when he has unlimited funds at his disposal (except apparently winning the Champions League with a team that doesn't include Lionel Messi). Still there can be no doubt that this City side is up there with the very best the Premier League has seen, the likes of Fergie's treble winning Manchester United, Wenger's invincible Arsenal, and Mourinho's record-breaking Chelsea. The experienced David Silva looks better than ever, while Sergio Aguero is still a goalscoring force with which to be reckoned. But the real highlight for City is the youthful talents of Raheem Sterling, Kevin De Bruyne, and Leroy Sane, the three of whom could well dominate the Premier League for years to come. Elsewhere among the league's top contenders we saw a Manchester United side much improved under Jose Mourinho, and the continued consistency of Pochettino's excellent Tottenham team. Perhaps most exciting has been Jurgen Klopp's swashbuckling Liverpool, bolstered in particular by the astonishing form of attackers Mo Salah and Roberto Firmino. Any of those three sides could easily mount a title challenge next year, and we expect a good open race. Bringing up the rear of the top six are Chelsea who, as predicted, paid the price for a poor summer of preparations, and an increasingly irrelevant and predictable Arsenal. Even the "shock" departure of Arsene Wenger was, in the end, not so shocking, as The Ephemeric's prediction of this outcome back in August can attest. It's particularly grim viewing for Chelsea fans who saw three of the four teams above them being led by ex Chelsea youngsters. Serious questions need to be asked of the longterm strategy of a club that did not have the vision to hang on to a front three of Salah, De Bruyne and Lukaku. Even outside the top clubs this was a season filled with fascinating drama. Sean Dyche has delivered an incredible result for Burnley, who began the season as most pundits' favourites for relegation (a view The Ephemeric did not share), but ended the season qualifying for Europe. This was also a season that saw the stock of Rafa Benitez and Roy Hodgson rise considerably, the latter of whom in particular must be due great credit for managing to turn around Crystal Palace's season. But someone had to go down, and this year that burden falls to Swansea and Stoke sides that went into the season with glaring vulnerabilities and duly struggled, and somewhat more surprisingly to Tony Pulis' West Brom, who performed well under expectations. Winners: Manchester City- Not just a comfortable win, but an intimidating one. 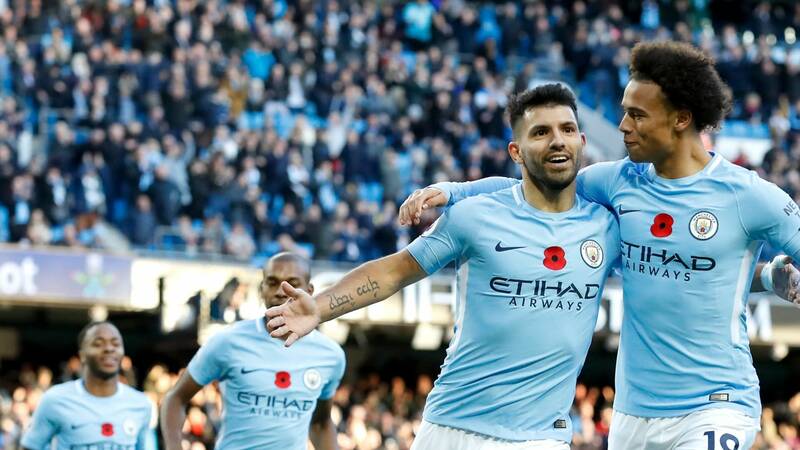 No other team was even close to City this year, and unlike the last few Champions Chelsea, Leicester and Chelsea again, there is no hint of an impending downturn. City as a club appears to have the resources and the consistency of vision their rivals lack, and they have to be considered favourites again next season. Relegated: Swansea, Stoke, West Brom - Swansea and Stoke entered the season with serious questions about their ability to survive the season, but West Brom in particular have had a disappointing season. Bouncing back next year will be no easy task. Player of the Year: Mohamed Salah (Liverpool) - It's been an astounding season for Mo Salah that is (perhaps slightly prematurely) seeing him compared to Messi and Cristiano Ronaldo as one of the world's best. Whatever the case, if he can maintain this form it will make Liverpool a force to be reckoned with for years to come. U-21 Player of the Year: Trent Alexander-Arnold (Liverpool) - A mainstay of this impressive Liverpool side through more unintended circumstance than intention, Trent Alexander-Arnold has nevertheless taken his opportunity and finds himself rightly praised as one of the season's standout youngsters and a place in the World Cup. Best Goalkeeper: Davide de Gea (Manchester United) - The best part of the Man U team this season has once again been de Gea. 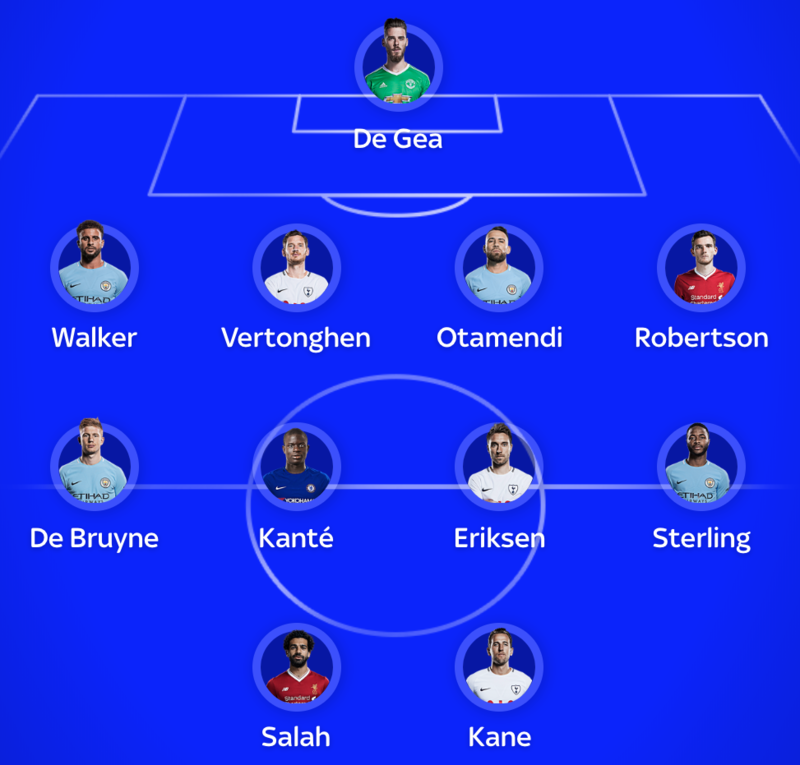 In a team with few standout individuals, de Gea has to be seen as a key reason for the consistency that has seen them rise to second in the league. Manager of the Year: Sean Dyche (Burnley) - A tough call. Pep's City team have been formidable, but taking a relegation-tipped side to European qualification is simply a more impressive accomplishment. Dyche's team this year have been remarkable to watch and fully deserve their success. Top Scorer: Mohamed Salah (Liverpool) (32) - Salah has used his pace to devastating effect this season. A goal tally in excess of 30 is remarkable for any player, let alone one who previously hadn't really be thought of as a stiker. Most Assists: Kevin De Bruyne (Manchester City) (16) - Another top class season for City's great creative force. Even more incredible when you consider that the league's top four assist-makers this season are all City players. Overachievers: Burnley - A great accomplishment that no one saw coming. Many had tipped Burnley for relegation (The Ephemeric was one of the few outlets to disagree with this view at the start of the season), and now they find themselves in the Europa League next season. Underachievers: Arsenal - Another unremarkable and trophiless season for a club that hasn't shown any noticeable improvement in a number of years. The lack of progress is especially damning given the vast sums spent by the club on players (some £400 million over the last 5 years). Maybe a new direction under a new manager will do them some good. Best signing of the season: Mohamed Salah (Liverpool) - As above. Worst signing of the season: Tiemoue Bakayoko (Chelsea) - A bit harsh perhaps, but it has been a very poor first season for a player who cost a good £40 million to sign. It's a folly made all the more embarrassing when one considers the talent who made way to accommodate this signing: the experienced Nemanja Matic who has been excellent for Manchester United, and Academy product Ruben Loftus Cheek, who has been one of the revelations of the season on loan at Crystal Palace, and rightly earned a place in the England World Cup squad.